The Hitachi SJ300 inverter is an advanced flux vector inverter, energy saving frequency drive. There are some stock of the SJ300 still available, contact us to find out. 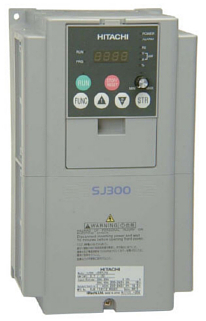 The SJ300 range has become obsolete and is being replaced by the SJ700 series drives! Hitachi no longer considers this series to be core product.